This beautiful Rosé from the Loire Valley is crisp and refreshing with vibrant aromas of strawberry and raspberry. 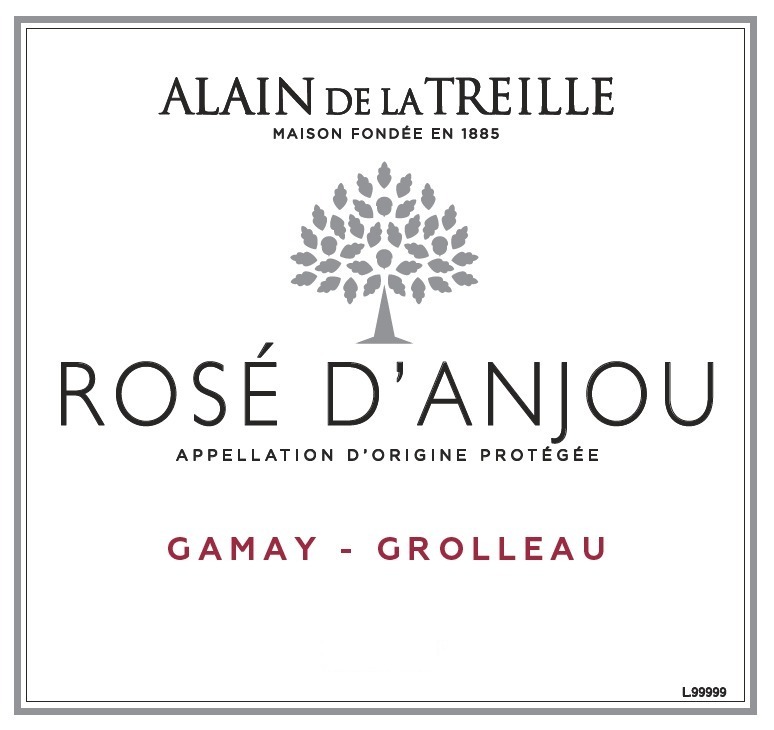 Juicy and well-blanced, a long finish, it is a great rose to sip as an aperitif or to pair with light spicy food, salads, poultry dishes or fresh fruits. 50% Gamay, 50% Grolleau. The vines are 25 years old. Winemaking is a delicate process which operates the selective extraction of juice and protects the color and the aromas. It determines the identity of the future wine. Control of the low temperature fermentation allows as well the smoothness and the delicacy. The final balance of the Rosé d'Anjou will be defined at the tasting to achieve a real harmony between sweetness and acidity, revealing the varietal aromatic character (strawberry, citrus ..) and fermentation (sweet candy pink flower. .). Fermentation is followed by a long stay on fine lees to bring the maximum delicacy and subtleness. To be served chilled (10-12°) with barbecued meats, salads, any spicy food, poultry dishes and of course apetizers.